Unable to persuade Qatari leaders to drop their support for the Muslim Brotherhood and other Islamist groups, Saudi Arabia appears determined to deprive its tiny neighbour of its regional soccer supremacy. A recent decision to build 11 stadia under the auspices of the Saudi Arabian Oil Company (Aramco), one of the country’s most efficient, forward-looking institutions, constitutes an effort to rival Qatar that is developing at least eight of the Middle East and North Africa’s most advanced facilities in advance of its hosting of the 2022 World Cup. It also signals the end to a debate in the kingdom on whether to emphasize individual rather than team sports in its five-year national sports plan in a bid to prevent soccer pitches from becoming venues of protest as elsewhere in the region. The Saudi decision to battle Qatar on the soccer pitch followed the withdrawal five months ago of the ambassadors of Saudi Arabia, the United Arab Emirates and Bahrain from Doha. It came as Gulf rulers acknowledged that deep-seated differences notwithstanding, they needed to cooperate in confronting the most significant threat facing them: the rise of the Islamic State, a militant jihadist group that controls a swath of Syria and Iraq with a population larger than that of several of the wealthy, oil-rich sheikdoms. A crisis meeting in Jeddah this weekend of Gulf leaders focused on countering the Islamic State threat avoided mention of the rift with Qatar, one of the most serious crisis in the almost three-decade old history of the Gulf Cooperation Council (GCC), which groups Saudi Arabia, Qatar, the United Arab Emirates, Bahrain, Kuwait and Oman. A flurry of meetings in recent weeks including a visit by Qatari emir Sheikh Tamim bin Hamad Al Thani to Saudi King Abdullah and talks last week in Doha between Tamim and a Saudi delegation that included Saudi Foreign Minister Prince Saud al Faisal, intelligence chief Prince Khaled bin Bandar, and Interior Minister Prince Mohammed bin Nayef failed to narrow the Qatari-Saudi gap. The decision to build the stadia and the significance attributed to it by assigning the task to Aramco, the world’s largest oil producer, which has been tasked in the past with key projects such as the development of the King Abdullah University of Science and Technology (KAUST), a research focused institution that is not bound by gender segregation and other religious restrictions, highlighted the deep-seated roots of soccer in the kingdom. It also signalled the fact that Saudi rulers afraid in the wake of the role that militant soccer fans played in the 2011 toppling of Egyptian president Hosni Mubarak as well as the 2012 resignation of Prince Nawaf bin Faisal as head of the Saudi Arabia Football Federation (SAFF) and his replacement this year as head of the Saudi Youth Welfare Presidency accepted that seeking to de-emphasize soccer in favour of sports that evoked less deep-seated emotions was politically too risky. The plans for the new stadia made no mention of including facilities for women spectators, an indication that efforts by more progressive elements of the political hierarchy and soccer establishment have so far failed to make the game more inclusive. Similarly, the national sports plan is being designed for men only, reinforcing the notion that the kingdom and the Islamic State draw their inspiration from a shared puritan interpretation of religious texts despite the fact that Saudi rulers view the group as one, if not the most serious threat they are confronting. 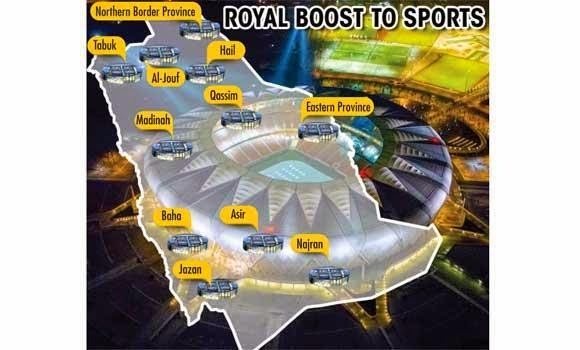 The announcement of plans for new stadia followed a number of trial balloons floated by the kingdom in the past year testing the waters for a greater role in world sports. Some reports suggested that the kingdom was considering bidding for international sports events, which risk putting it under the international spotlight and exposing it to criticism like happened with Qatar’s handling of foreign workers. Equally unlikely are suggestions that the kingdom would field a credible candidate for next year’s election of a president of the Asian Football Confederation (AFC). Saudi Arabia is more likely to support the re-election of Sheikh Salman bin Ebrahim Al Khalifa, a national of Bahrain, which is closely aligned with the kingdom. Salman last year defeated hands down among others a Saudi national in an interim AFC election. Challenging Qatar’s lead role as not only the region’s soccer hub but as an increasingly important node in global soccer will take more than matching it in infrastructure. While Qatar hardly ranks among the world’s most transparent and accountable nations, it has less domestic soccer-related transparency issues than the kingdom does. Prominent Saudi businessmen, including Prince Alwaleed bin Talal, a prominent member of the Saudi ruling family and one of the world’s wealthiest men, and soccer officials recently grumbled over government guidance in the awarding by SAFF of soccer broadcast rights to Middle East Broadcasting Center Group (MBC) in a deal worth 3.6 billion Saudi riyals or $960 million. So… who has won the Gaza war? An agreement has been reached, but one ultimate umbrella question remains. If the ceasefire between Israel and Hamas holds, who has emerged victorious from the 50-day Gaza war? On Sunday, the Palestinian death toll had exceeded 2,100 and the Israeli destruction of Gazan infrastructure had been ramped up to target Hamas offices in high-rise buildings. 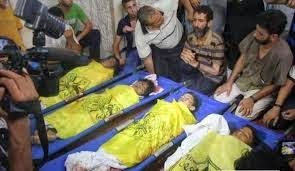 On the Israeli side, 64 soldiers and six civilians were killed. Then, an Egyptian-brokered ceasefire calling for an indefinite halt to hostilities was struck. 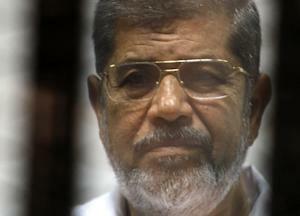 Israel has agreed to Egyptian proposal for ceasefire that will be unlimited in time. “If Hamas abide by their commitment to cease all hostilities against Israel then both the Israeli and Palestinian people will be the winners. Time will tell,” Israeli Foreign Ministry spokesperson Paul Hirschson told Al Arabiya News on Wednesday. Both sides are claiming achievements but major sticking points remain. Israel’s goal of demilitarizing Gaza has not been reached with Hamas in control of Gaza with part of its military arsenal still intact. Meanwhile, Hamas’ previous demands for Israel and Egypt to lift border closures imposed in 2007 have also not been fully met, with Israel confirming it would “ease” its blockade of the hemmed-in enclave to allow humanitarian and construction materials to enter the Palestinian territory. Below you can find the immediate steps to the deal in full. But apart from an agreement that intends to guarantee a period of calm, can either Hamas or Israel really claim victory? “The long-term ceasefire agreed between Israel and Hamas is neither a defeat nor a victory for any side,” Lina Khatib, director of the Carnegie Middle East Center, told Al Arabiya News on Monday. “The Israeli-Palestinian conflict is one in which all wars have had no winners because the human cost of the wars negates their military gains,” added Khatib. 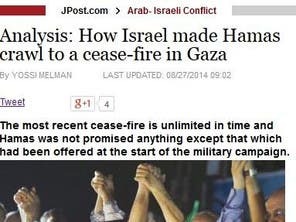 While the Israeli government has not directly claimed victory, the Israeli media is reporting how Israel made Gaza “crawl” to a ceasefire. But this view omits other points, explains Middle East analyst James Dorsey. “Short term, I would argue that Hamas won more points than Israel in terms of forcing a debate in Israel on military and intelligence strategy, denting Israel’s international standing as well as its relations to key allies such as the United States and Britain, restoring Palestinian resolve, maintaining a degree of Palestinian unity and refusing to accept Israeli terms for the negotiations. What those points are worth will only emerge over time,” Dorsey told Al Arabiya News. The rhetoric over who won the Gaza war is reminiscent of the 2006 Lebanon War, noted Melman, in which Hezbollah Secretary-General Sayyed Hassan Nasrallah declared victory after Israeli defense commentators criticized the war’s conduct by then Prime Minister Ehud Olmert’s government. 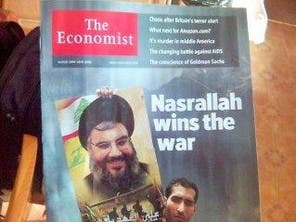 Still, Nasrallah’s statement was enough for The Economist’s August 2006 edition to splash “Nasrallah wins the war” on its front cover. But how are the winners of such wars determined against a backdrop of the decades-old Arab-Israeli conflict? In Gaza’s case, “the only scenario in which we could speak of ‘winning’ is if a full resolution of the conflict is reached, and then it would not be a win at the expense of an opponent's defeat, but a consensual victory for peace,” said Khatib. “We are hopeful that the Palestinians will return to negotiations with Israel as well as the entire Arab world, beyond Egypt and Jordan with whom we already have friendly and peaceful relations. There is no question the weakening of Hamas is a positive contribution to this aim as well,” the Israeli spokesperson added. 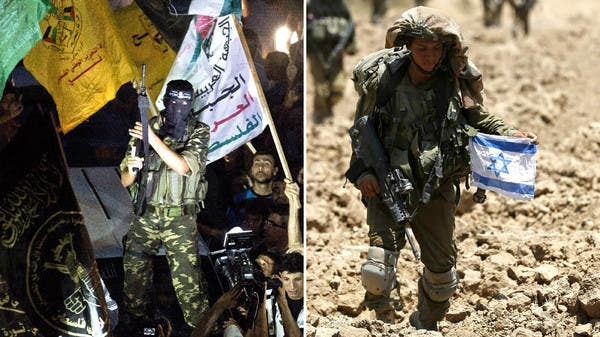 While Hamas remains steadfast in its claim of victory, the terms both sides have agreed to (that ended more than a week of fighting in 2012) are seemingly the most tangible way to gauge any tactical advantages. “In many ways, victory is an issue of perception and in the eye of the beholder,” according to Dorsey. “No one vanquisher emerges from these conflagrations. As a result, victory is measured in terms of tactical advantage achieved and the degree to which that advantage strengthens a negotiating position. I would argue that, at least in the short term, the Palestinian rather than the Israeli negotiating position has been strengthened,” he added. For Gaza, it’s clear the celebrations are hopeful of an end to the death and destruction seen in the past seven weeks. For Israel, the end to an offensive weighing heavily on the country’seconomy and international image most probably provides some relief. Indirect talks on more complex issues surrounding the Gaza conflict are due to begin in Cairo within a month. * Hamas and other militant groups in Gaza agree to halt all rocket and mortar fire into Israel. * Israel will stop all military action including air strikes and ground operations. * Israel agrees to open more of its border crossings with Gaza to allow the easier flow of goods, including humanitarian aid and reconstruction equipment, into the coastal enclave. This was also part of a ceasefire agreement after the last conflict between Israel and Hamas in November 2012, but was never fully implemented. * In a separate, bilateral agreement, Egypt will agree to open its 14 km (8 mile) border with Gaza at Rafah. * The Palestinian Authority, headed by President Mahmoud Abbas, is expected to take over responsibility for administering Gaza's borders from Hamas. Israel and Egypt hope it will ensure weapons, ammunition and any "dual-use" goods are prevented from entering Gaza. They also expect tight monitoring of imports of construction materials like cement and cast iron to make sure they are used to rebuild or build homes rather than tunnels that have been used to attack Israel. * The Palestinian Authority will lead coordination of the reconstruction effort in Gaza with international donors, including the European Union, Qatar, Turkey and Norway. * Israel is expected to narrow the security buffer - a no-go area for Palestinians that runs along the inside of the Gaza border - reducing it from 300 meters to 100 meters if the truce holds. The move will allow Palestinians more access to farm land close to the border. * Israel will extend the fishing limit off Gaza's coast to six miles from three miles, with the possibility of widening it gradually if the truce holds. Ultimately, the Palestinians want to return to a full 12-mile international allowance. This was also part of the previous ceasefire deal in 2012, and was briefly implemented before being rescinded in March 2013. * Hamas wants Israel to release hundreds of Palestinian prisoners rounded up in the occupied West Bank following the abduction and killing of three Jewish seminary students in June, an attack that led to the war. 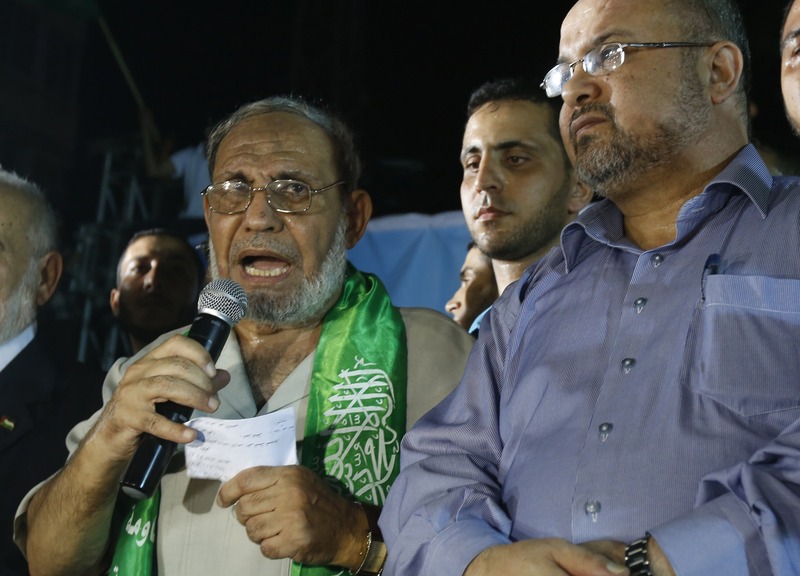 Hamas initially denied involvement in the killings, but a senior Hamas official in exile in Turkey last week admitted the group did carry out the attack. * President Abbas, who heads the Fatah party, wants freedom for long-serving Palestinian prisoners whose release was dropped after the collapse of peace talks between Israel and the Palestinian Authority. * Israel wants Hamas and other militant groups in Gaza to hand over all body parts and personal effects of Israeli soldiers killed during the war. * Hamas wants a sea port built in Gaza, allowing goods and people to be ferried in and out of the enclave. Israel has long rejected the plan, but it is possible that progress towards it could be made if there are absolute security guarantees. In antiquity, Gaza was a major port in the eastern Mediterranean, a critical point for spice trading. There have been plans to build a new port since the Oslo peace accords in the mid-1990s, but no progress has been made. * Hamas wants the un-freezing of funds to allow it to pay 40,000 police, government workers and other administrative staff who have largely been without salaries since late last year. The funds were frozen by the Palestinian Authority. * Israel has in recent weeks said it wants the full "demilitarization" of Gaza. The United States and European Union have supported the goal, but it remains unclear what it would mean in practice and Hamas has rejected it as unfeasible. It is possible that Israel will raise it again as talks progress. * The Palestinians also want the airport in Gaza - Yasser Arafat International, which opened in 1998 but was shut down in 2000 after it was bombed by Israel - to be rebuilt. Israeli destruction of Gazan infrastructure has turned the strip into a modern day Dresden. But returning Gaza to the Stone Age has not stopped Hamas, the Islamist militia in control of the territory, from inflicting significant political and psychological damage on Israel. Israeli military and intelligence sources fear that fundamental Israeli intelligence failures have put Hamas in a position to increase Israel’s political cost and determine when Israel’s longest war against the Palestinians will end. Already, Israel’s almost two-month old war against Hamas has shifted from a sledgehammer approach intended to shock the Islamist militia into accepting Israeli demands for demilitarization into the one thing Prime Minister Benyamin Netanyahu had wanted to avoid: a war of attrition that would strengthen his right-wing critics at home and risk Israel losing control of ceasefire negotiations in which Egypt did Israel’s bidding. 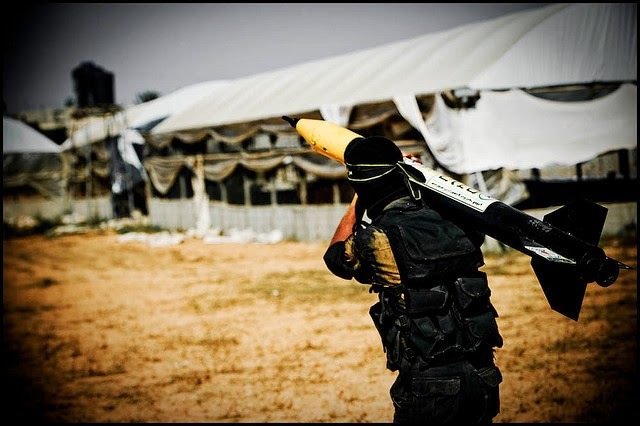 Hamas’ refusal to bow to Israeli military superiority as well as its uncompromising insistence on a lifting of the eight-year old Israeli-Egyptian blockade of the Gaza Strip and the right to furnish it with an airport and sea port caught Israel by surprise. Hamas’ steadfastness leaves Israel with few good options: continuation of a war of attrition that works in Hamas’ favour; unilaterally declaring an end to the war that would be rendered meaningless by the continued launching of rocket and mortar attacks from Gaza; and/or accepting in the face of failure of Egypt’s biased mediation a shifting of efforts to end the fighting to the United Nations where Israel is likely to get a less sympathetic hearing. The effects of Hamas’ strategy are already evident on the ground. Beyond having been forced into a war of attrition, Israeli towns and settlements adjacent to the Gaza Strip have turned a majority of their residents into internal refugees. “This is a strategic achievement on a par with Hamas’ success in closing (Tel Aviv’s) Ben Gurion international airport for a couple of days last month,” commented DEBKAFile, a news website with close ties to Israel’s military and intelligence establishment. Israeli military and intelligence sources attribute their failure to predict Hamas’ ability to stand up to punishing military strikes to a decision in the last decade to focus the country’s intelligence resources on gathering tactical intelligence and its military on ensuring weapons and training superiority rather than on understanding the enemy’s strategy, mindset and evaluation of the local and international environment in which it operates. As a result, Israeli intelligence and security agencies have cut back on personnel seeking to understand the broader picture in which Hamas and other groups operate. Proponents of the shift in focus point to Israeli successes in recent years including the 2008 assassination in Damascus of Imad Mughnieyh, a widely respected Hezbollah and Iranian operative, who masterminded attacks on Israeli and US targets as well as a host of kidnappings of foreigners in Lebanon, including the CIA’s station chief. They also list the killing of Iranian nuclear scientists in Iran and elsewhere, the Stuxnet cyber-attack on Iranian computer systems related to the Islamic republic’s nuclear program, and the 2007 destruction of a Syrian plutonium reactor built with the help of Iran and North Korea. They further argue that Israeli forces involved in Gaza benefitted from superior tactical knowledge. Those successes notwithstanding Israeli intelligence was unable to provide Netanyahu and members of his security cabinet with the necessary strategic analysis to pre-empt what has become a classic example of Machiavelli’s pursuit by Hamas of diplomacy by other means. Israeli intelligence’s inability was already evident in faulty analysis of the popular Arab revolts that toppled the leaders of Egypt, Tunisia, Libya and Yemen as well as of Syrian President Bashar al-Assad’s strategy of allowing the Islamic State, the jihadist group that controls a swath of Syria and Iraq, to emerge as the major rebel group so that he could substantiate his claim that he was fighting a terrorist phenomenon that threatens not only his regime but also the region as a whole and the West. Israeli Defence Minister Moshe Yaalon appeared to concede that Hamas had succeeded in imposing a war of attrition on Israel by insisting that the Gaza war would only end “when quiet returns to southern Israel” and that Israel preferred a diplomatic rather than a military resolution of the conflict. “This approach leaves the initiative in Hamas’ hands and Israel ignorantly navigating its military moves towards a ceasefire instead of winning the war. Despite its inferiority in fighting strength and weaponry, Israel’s enemy uses this ambivalence to retain the element of surprise and keep the IDF moving without direction,” DEBKAFile said. It has also made Netanyahu more vulnerable to criticism that Israel will be unable to militarily defeat Hamas in a war of attrition that takes an increasing toll on Israel’s population and that only full disarmament of Hamas will restore Israeli security. Ironically, some of the prime minister’s critics, including former defence minister Moshe Arens, would be willing to cut short the war of attrition and concede to some of Hamas’ demands in the absence of a military campaign aimed at complete disarmament on condition that the government prepares for another round of fighting which they view as inevitable at some point in the future. Even that seemingly conciliatory approach could backfire in the absence of a bold Israeli initiative to sincerely negotiate an end to the Palestinian-Israeli conflict. The war in Gaza and the failure of Egypt to politically undercut Hamas in the ceasefire negotiations have raised the spectre of internationalization of the conflict. Palestinian factions are making it increasingly difficult for Palestine Authority President Mahmoud Abbas to avoid filing war crime charges against Israel in the International Criminal Court. In addition, European efforts to shift ceasefire talks from Cairo to the United Nations in New York are more sympathetic to Hamas’ demands for a lifting of the siege and international supervision of border crossings and reconstruction of Gaza – the very steps that could reduce Israeli control of the process. RSIS Commentary is a platform to provide timely and, where appropriate, policy-relevant commentary and analysis of topical issues and contemporary developments. The views of the authors are their own and do not represent the official position of the S. Rajaratnam School of International Studies, NTU. These commentaries may be reproduced electronically or in print with prior permission from RSIS and due recognition to the author(s) and RSIS. Please email: RSISPublications@ntu.edu.sg for feedback to the Editor RSIS Commentaries, Mr Yang Razali Kassim. Israel and Hamas have significantly moderated their attitudes towards one another despite official denials. Indirect talks in Cairo designed to achieve a lasting ceasefire between the two war weary parties effectively constitute negotiations about the parameters of a potential future peace agreement. Wars inevitably spark change. That is no truer than in the war in Gaza no matter what Hamas and Israel say. The signs of changing attitudes of Israel and Hamas towards one another go significantly beyond the fact that the two sworn enemies who refuse to recognize one another are negotiating even if only indirectly. They also go beyond the fact that the road to the Cairo talks was paved in part on indirect negotiations between Hamas and the United States, which like Israel has declared Hamas a terrorist organization. 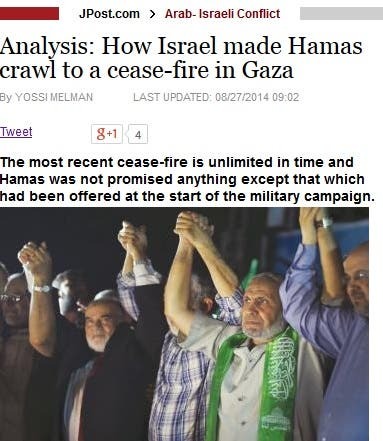 While some European officials have been urging Israel to negotiate directly with Hamas. Israeli Prime Minister Benyamin Netanyahu announced changed Israeli attitudes towards Hamas when he defined Israel’s goal in the Gaza war as the weakening of Hamas military capability, if not the demilitarization of the group, rather than his long standing objective of total destruction of the organisation. 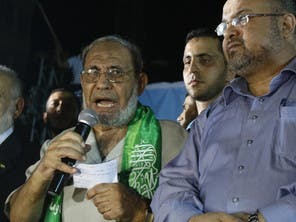 While Israel seemed to be indiscriminate in its risking of civilian casualties during the war, Hamas’ senior leadership in the Strip has emerged from the fighting unscathed. The negotiations despite their cyclical breakdowns do not only acknowledge Hamas as a key player in any long lasting arrangement with Israel but also constitute a recognition of the fact that the Islamist group looks a lot better than other militant Palestinian groups in Gaza such as Islamic Jihad, which has often played the role of an agent provocateur trying to force conflict in an environment in which both Hamas and Israel would have wanted to avoid military confrontation. Even if Hamas does not comprise the moderate Palestinians that Israel and its western backers prefer to deal with, it looks better than the Islamic State which occupies significant chunks of Syria and Iraq. Israel’s acknowledgement of Hamas as the best of a bad bunch is evident in the substance of the Cairo talks: the building blocks of a future state and a two-state resolution to the Israeli Palestinian conflict – rule by a Palestinian national unity government, open borders, a sea port, extended territorial waters, and an airport – in exchange for military and security arrangements that ensure the security of both Israel and the Palestinians. Anat Kurz, director of Tel Aviv University’s Institute for national security studies, which has close ties to Israel’s government and security establishment, reflects the changed attitudes in official Israeli thinking. “Israel does not want to destroy Hamas. There’s a shift in the Israeli position … Israel wants to leave Hamas enough capability because it is the most organised force in the Gaza Strip,” Kurz told The Guardian. She acknowledged that the labelling of a group as terrorist often serves as a way of avoiding negotiations that could involve painful compromises. Ironically, Kurz’s articulation of changed Israeli attitudes mirrors statements by Hamas leader Khaled Mishal, including his assessment of Israel’s demand that Hamas first recognize the Jewish state and denounce armed struggle before any potential direct talks. In a lengthy interview with Al Jazeera, Mishal described the Israeli demands as a tool to evade negotiations, noting that the United States and the Vietcong negotiated an end to the Vietnam War while the fighting continued. “The argument throws the ball into the Palestinian court … We will not surrender to Israeli blackmail,” Mishal said. He noted further that a quarter of a century after Palestinian leader Yasser Arafat first renounced violence and then recognized Israel Palestinians have yet to secure their rights. More importantly, both in his explicit remarks and in the tone of his interview Mishal made clear that Israel had signed on to a two-state resolution that would end the Israeli-Palestinian conflict with the establishment of an independent Palestinian state alongside Israel.” We accept a state with the 1967 borders but Israel doesn’t. That makes a solution difficult to achieve,” Mishal said referring to the borders before the 1967 Middle East war in which Israel conquered the West Bank and the Gaza Strip. Changed Israeli and Hamas attitudes however do not automatically lead to a solution. Nevertheless they are a sine qua non for any longstanding arrangement whether a ceasefire or a final peace agreement. So far neither Israel nor Hamas has demonstrated the political will to build on the change in the way they eye each other. Intractable hostility suited both Israel and Hamas until the last Gaza war. Ahmed Mohammed al Qatar and Udai Jaber’s burgeoning soccer careers came to a screeching halt in early August when the two 19-year olds were shot dead by Israeli forces in the West Bank town of Gaza during a protest against the war in Gaza. Days earlier, Ahed Zaqqut, a 49-year old Palestinian soccer legend, who once played a French team captained by European football governing body UEFA president Michel Platini, died when his home in Gaza was hit by Israeli fire. The deaths of the three players and the trauma of Israel’s heavy handed month long assault on Gaza has not only cast a shadow over Palestinian soccer at a time that the Palestine national team was progressing with its qualification for the Asian Football Confederation (AFC) Challenge Club and upcoming participation in the Philippines’ Peace Cup. Coupled with widespread international condemnation of Israel’s conduct of the Gaza war that has left almost 2000 Palestinians dead and many more injured, they deaths have also focused the sports world’s attention on problems Palestinian athletes face as a result of the Israeli occupation of the West Bank and blockade of Gaza and fuelled calls for a sporting boycott of Israel as part of a larger boycott, disinvestment campaign. Among the often gruesome images of the Gaza war that sparked widespread condemnation was video footage of four Palestinian boys killed in an Israeli attack as they were playing soccer on a Gaza beach. Israel two months ago averted sanctions by world soccer body FIFA with the establishment of an independent committee tasked with monitoring progress in the removal of Israeli obstacles such as restrictions on the freedom of movement of Palestinian players and officials as well as the import of soccer-related goods. The commission is scheduled to report back to the FIFA executive committee in December. FIFA president Sepp Blatter cautioned when the commission was announced that to succeed the new committee “needs the full support of the Israeli government”. If the Israeli-Palestinian stand-off remains as it is, the commission may not be able to report a great deal of progress. Israeli restrictions on travel out of the West Bank and between the West Bank and Gaza appear to have become more stringent since the Gaza war. Israel has barred thousands of Palestinians in recent weeks from leaving the West Bank. Rajoub, widely believed to be positioning himself as a candidate in Palestinian presidential elections, has stopped short in recent interviews of reviving his call for FIFA suspension of Israeli membership. "We need to try to develop and invest in football in Palestine, despite the difficulties we face... We believe football should remain a tool to build bridges between people. Personally, I've been very saddened by the loss of Palestinian life in the conflict,” he said. Rajoub may find his back peddling difficult to maintain as the prospects for renewed fighting in Gaza loom large with ceasefire talks in Cairo between Israel and Hamas making little progress. The campaign to pressure FIFA to sanction Israel was part of a broader Israeli Palestinian move to gain recognition of Palestinian statehood through membership in international organizations and isolate Israel in the wake of the breakdown in April of US-sponsored Israeli-Palestinian peace talks. Pressure on the Palestinian by the donors of President Mahmoud Abbas’ Palestine Authority persuaded the Palestinians to put on hold plans to join the International Criminal Court which would have allowed them to mount a legal challenge against Israel. The Gaza war has however moved alleged Israeli war crimes centre stage and strengthened Hamas, the Islamist group that controls Gaza and has been calling for charging Israel for its conduct of the war. The Gaza war moreover has made fending off the the threat of sanctions against Israel amid international sentiment towards the Jewish state a major priority for the Israeli government and growing calls for Israel to negotiate directly with Hamas rather than through third parties. That sentiment was already building in important segments of the international sports community prior to the Gaza war. Last year, more than 60 prominent European players, including Chelsea's Eden Hazard, Arsenal's Abou Diaby and Paris Saint-Germain's Jeremy Menez, protested against Israel’s hosting of the UEFA Under-21 championship. They warned that it would be “seen as a reward for actions that are contrary to sporting values… We, as European football players, express our solidarity with the people of Gaza who are living under siege and denied basic human dignity and freedom,” the players said in a statement. The stakes for Israel and the Palestinians are high. Israel cannot afford to become an international outcast while the Palestinians see anti-Israeli sentiment as an opportunity to further their cause. To avoid blacklisting at least on the soccer pitch, Israel could ease restrictions on Palestinian football. Doing that however would likely be perceived as bowing to pressure, in the absence of a Palestinian-Israeli agreement on a long-lasting ceasefire in Gaza that would have to involve a controlled softening, if not lifting of the blockade. That is a tall order with the talks in Cairo hanging on a bare thread. US President Obama’s decision to launch air strikes against the Islamic State jihadists in Iraq is fraught with pitfalls and could persuade IS to consolidate its position in Syria. US President Barak Obama’s decision to launch air strikes against the Islamic State, the jihadist group that controls a large swath of Syria and Iraq, is fraught with pitfalls. Even if it succeeds in stalling the group’s advance in Iraq, the air strikes could persuade the Islamic State to re-focus its attention on Syria to consolidate its position in the knowledge that Obama is less likely to intervene to salvage the regime of Syrian President Bashar al-Assad. Obama’s reluctance to support non-jihadist Syrian rebels in the early days of Syria’s civil war has produced the very nightmare he had tried to avoid: the emergence of a well-organized, well entrenched, competent and ruthless jihadist force that not only threatens to partition, if not take control of Syria but also Iraq, and poses a serious threat to Lebanon and Jordan. Also Obama left the door open to regional Sunni states to support the Islamic State often through non-official channels while allowing aid to jihadists to go unchecked. Obama is banking on the establishment of an inclusive Iraqi government capable of reaching out to the country’s non-Shiite communities, to undermine support for the Islamic State’s popular base, foremost among whom are Sunni Muslims. While there is no doubt that many Sunnis were driven towards the Islamic State by outgoing Iraqi Prime Minister Nouri al-Maliki’s pro-Shiite sectarian policies, that gambit is countered by the fact that the United States and its allies have allowed the jihadist group to flourish In a festering sectarian milieu in which US allies like Saudi Arabia were as much drivers as was the outgoing Iraqi leader. With tens of thousands of Yazidis trapped by the jihadists on a mountain in northern Iraq under dire circumstances and the security of Iraqi Kurdistan under threat, until this latest crisis Iraq’s most stable region, Obama had little choice but to take action. Fears of mission creep in the United States may however not be unwarranted if the Obama administration indeed intends to defeat rather than just contain the Islamic State and attempt to maintain the territorial integrity of Iraq that is hanging by a bare thread. However growing Saudi-fuelled sectarianism in the Middle East is likely to backfire on the US effort as many Sunnis will perceive the air strikes as an expression of a pro-Shi’ite policy. Sunnis widely believe that US policy had brought Shiites to power in Iraq with the toppling in 2003 of Iraqi strongman Saddam Hussein, a Sunni. Iran, they fear, could return to the international fold if negotiations to solve the nuclear problem are concluded successfully. All of this comes on top of US reluctance to give Syrian rebels the means to topple Syrian President Bashar al-Assad, a leader of the Alawites, which is an offshoot of Shi’ism. The Sunnis sense of being embattled is reflected in the fact that they have acquiesced in the repression and effective expulsion of other Iraqi minorities such as Christians and Yazidis. Few doubt the Islamic State’s military performance, enhanced by advice from senior military officers who served under Saddam as well its strategic and tactical flexibility. With US air strikes targeting sophisticated primarily US military hardware captured by Islamic State fighters from fleeing Iraqi soldiers as well as concentrations of the group’s fighters, the Islamic State is likely to revert in Iraq to its military origins: an infantry force that engages in guerrilla tactics and employs suicide bombers. It is a strategy that could reduce the effectiveness of air strikes. On a grander scale, Islamic State may also complicate Obama’s options by re-focussing on territorial gains in Syria. It virtually crushed this week all opposition in the eastern province of Deir ez Zour, Syria’s sixth largest city. The Islamic State has proven its ability to fight on multiple fronts in contrast to Assad’s war-weary military that appears to fight one battle at a time, with campaigns that persuade civilians to flee in a bid to isolate rebels and force them to surrender. As a result, the Islamic State could first concentrate on capturing Aleppo, Syria’s embattled largest city, rather than advancing towards the Iraqi capital of Baghdad, which no doubt would provoke intensified US military strikes. Successful in Aleppo, it could consider moving to threaten Damascus. Such a move would put Obama and America’s Gulf allies in a bind: allow Syria with its borders with Israel, Jordan and Lebanon to fall to the strongest, most brutal jihadist group to have emerged to date or step in to save a despotic, brutal leader allied with Iran and Russia whose demise is a US policy goal. The pitfalls for Obama don’t stop there. If stopping the Islamic State in its tracks and eventually rolling back its advances with US air forces supporting Iraqi and Kurdish ground troops is the medium term goal, short term necessities force it to adopt measures that are more likely to lead to a break-up of the Iraqi nation state. With politicians in Baghdad struggling to replace Al-Maliki with a more inclusive Iraqi national government, highly motivated but poorly armed Kurdish Peshmergas with a long history of fighting Saddam are the US’ main ally on the ground. The Obama administration’s decision this week to arm the Kurds with light weapons and ammunition is likely to fuel Kurdish ambitions for independence that had already kicked into high gear with the collapse of the major units of the Iraqi military in the face of Islamic State advances. Those fears are also justified given that the United States may not be able to continue differentiating between the situation in Iraq and in Syria. For the Obama administration, the stakes are high. While sympathetic to the goals in Iraq outlined by Obama, humanitarian relief for a community threatened with a massacre and protection of US personnel, many Americans, after a decade of wars in Afghanistan and Iraq, are war weary. At the same time, US credibility is on the line in a region that has few security alternatives but the United States but is increasingly sceptical about its ability to live up to expectations. Cairo (AFP) - A year after a bloody Cairo crackdown, President Abdel Fattah al-Sisi has tightened his grip on Egypt, crushed the Muslim Brotherhood, jailed top opponents and turned the page on the Arab Spring, critics say. The assault was "one of the largest killings of demonstrators in a single day in recent history," said New York-based Human Rights Watch in a report released Tuesday to mark the anniversary.On August 14, 2013, after Sisi ousted Egypt's first freely elected president, Mohamed Morsi, the security forces launched a crackdown on thousands of his supporters at protest camps in Cairo's Rabaa al-Adawiya and Nahda squares that left hundreds dead. In Rabaa al-Adawiya alone, at least 817 people were killed, it said, calling for top officials to be investigated for likely "crimes against humanity". According to an AFP correspondent who was at the square, more than 100 protesters were killed several hours into the crackdown. 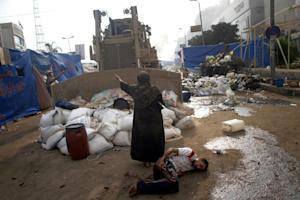 Police said eight policemen also died in Rabaa, from a total of 42 policemen killed across Egypt that day. The crackdown was launched after thousands of pro-Morsi supporters refused to end their sit-ins despite repeated warnings by the interim authorities installed by Sisi, who at the time was army chief. Since then, more than 1,400 people have been killed in street clashes, including in the Rabaa carnage, over 15,000 jailed including Morsi and the top leadership of his Muslim Brotherhood, and over 200 sentenced to death in speedy trials. The authorities have also dissolved the Brotherhood's political arm, the Freedom and Justice Party, since Sisi became Egypt's second democratically elected president following a landslide victory in a May vote. 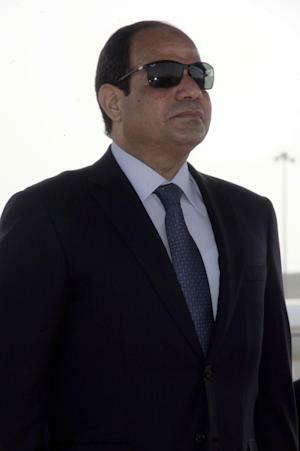 "Sisi has succeeded in eliminating most opposition within Egypt to his rule," said James Dorsey of the Singapore-based S. Rajaratnam School of International Studies. "He has banned organisations, jailed opponents and certainly in early days after the ouster of Mohamed Morsi used brutal force to suppress groups like the Muslim Brotherhood," he said. Survivors say the Rabaa al-Adawiya crackdown was not just to break the pro-Morsi sit-in but to eliminate the Islamist's supporters. Egypt's liberal activists who revolted in 2011 against longtime president Hosni Mubarak seeking democratic freedoms largely kept quiet over the crackdown, but soon bore the brunt as authorities banned all unauthorised rallies. The secular April 6 movement which in the heady days of the Arab Spring led the anti-Mubarak revolution has also been banned, prompting activists to charge that Egypt was heading for a worse autocracy than under Mubarak. Sisi had made it clear even before becoming president that his priority was Egypt's stability rather than democratic ideals. 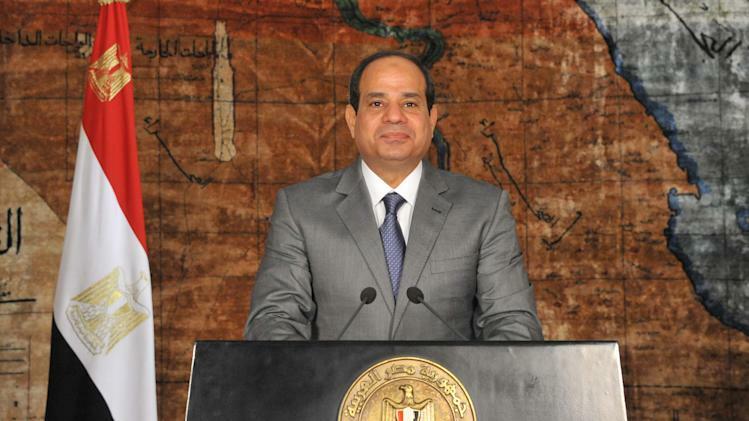 It could take "20 to 25 years to achieve true democracy" in Egypt, Sisi said in early May. The crackdown has crippled the Brotherhood, which swept all elections after Mubarak's fall until Morsi's ouster, and triggered divisions within its ranks, according to analysts. Officials accuse the movement of being implicated in militant attacks which they say have killed more than 500 security personnel since the July 2013 ouster of Morsi. "The challenge for the Brotherhood is not to allow internal divisions to translate into an organisational split," said Shadi Hamid, fellow at Brookings Institution's Centre for Middle East Policy. The movement lacks a strategy to counter Sisi's "resilience" to stay in power and needs a long-term formula, he said. "They don't have any major strategy beyond protests, protests, protests, while waiting for the economy to suffer," said Hamid. The pro-Morsi Anti-Coup Alliance has called for nationwide protests on Thursday under the slogan "We Demand Retribution" to mark the first anniversary of the crackdown. The new authorities have succeeded in "destroying the status which the Brotherhood achieved" after Mubarak's ouster, said Ziad Akl, researcher at Al-Ahram Centre for Political and Strategic Studies. "Today their businesses are confiscated, journalists giving their side of the story are jailed ... 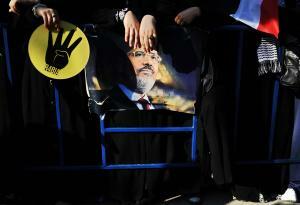 The regime has succeeded in turning the Brotherhood into an illegitimate entity and forced it to go underground."